When Thomas Goodwin was born in 1600, he was a premature baby. Consequently, his health was a rather shaky. But since his godly parents hoped to see him in the pulpit, rather than farming or soldiering, bodily weakness was not a serious impediment to his future. The couple provided their son with the best education they could afford, and it paid off. At thirteen he went to Christ's College, Cambridge University, where he did very well in his studies. Proud of his abilities, his whole thought was how he might turn them to personal advantage. He seemed destined to become another professional clergyman of the type that is scholastically brilliant but spiritually arid. Instead, he became a Puritan great, a man who influenced his own generation through his preaching; and future generations through his printed works. Alexander Whyte, a famed Scottish preacher, tells what his discovery of Goodwin meant: "In those far-off years I read my Goodwin every Sabbath morning and every Sabbath night. Goodwin was my every Sabbath-day meat and my every Sabbath-day drink. And during my succeeding years as a student, and as a young minister, I carried about a volume of Goodwin wherever I went. I read him in railway carriages and on steamboats. I read him at home and abroad. I read him on my holidays among the Scottish Grampians and among the Swiss Alps. I carried his volumes about with me till they fell out of their original cloth binding, and till I got my bookbinder to put them into his best morocco. I have read no other author so much and so often. And I continue to read him till this day as if I had never read him before." How did such a transformation come about? For some time Goodwin avoided serious sermons. They made him uneasy. A frivolous companion, hearing a bell toll for a funeral, suggested they attend the service. Goodwin was reluctant, but went. The preacher, Dr. Thomas Bainbridge spoke of Christ weeping over unrepentant Jerusalem. Bainbridge reminded his listeners that "today is the day of salvation." If we put off repentance, we never know that we will have another opportunity. "I was so far affected," wrote Goodwin, "that I said to a companion of mine who came to church with me, and indeed had brought me to that sermon, 'That I hope to be the better for this sermon as long as I live'." He fell under deep conviction of sin and confessed his wickedness to Christ, but was unable to find assurance of salvation until he realized that he must not trust his salvation to improvements in himself, but rather fix his eyes on Jesus. He became a notable pastor. Favoring a congregational approach to church organization, he resigned a high position at Cambridge. For some years, he lived in exile in Holland to escape persecution by William Laud. 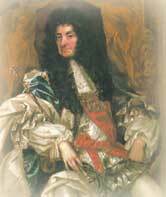 When Charles I was driven from the throne, Goodwin preached to Parliament. After the restoration, he was expelled from the presidency of Magdalen College, Oxford by a hostile monarchy. Goodwin died on this day, February 22, 1680. His last words were: "Ah, is this dying? How I have dreaded as an enemy this smiling friend." Goodwin,Thomas. The Works of Thomas Goodwin , D.D., sometime president of Magdalene Colledge in Oxford ... [microform] London: Printed by J.D. and S.R. for T.G., 1704. "Index to Thomas Goodwin." Fire and Ice; Puritan Sermons. (www.puritansermons.com/goodwin/goodindx.htm). Whyte, Alexander. "Brief Biography [of Thomas Goodwin]." (www.newble.co.uk/goodwin/biography.html).